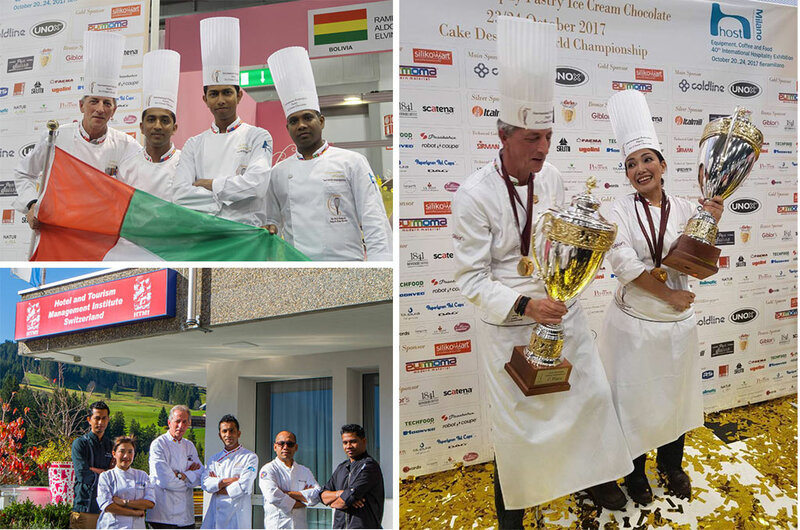 The Emirates Culinary Guild would like to announce the successful participation In Milan at the recently held World Trophy Pastry Ice cream Chocolate Championship FIPGC 2017 and the Cake Designers World Championship. The competition was held at Fierro Milano during Host exhibition. The competition saw over 20 different countries compete for the trophies in both categories. The Emirates Culinary Guild had a team of 4 chefs from Dubai competitor in the competition. The ECG is delighted to announce that Ms. Jade Saducas, was crowned champion and Gold Medal winner and overall trophy winner for the Cake Designers. Chef Jade produced an outstanding cake and artistic pieces to be awarded the Trophy. 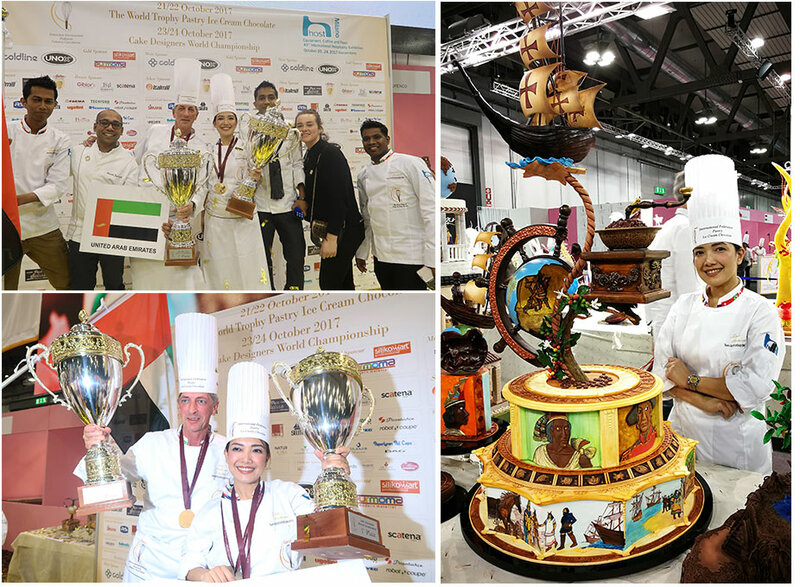 Chef Jade worked for months on her piece and with the support of the team has brought home the Gold to the UAE. The Pastry team also had to produce three show pieces which included Chocolate, Sugar and Pastiliage, and in addition ice cream, a cake and pralines were all produced in the 8 hour time limit set for the competition. The World Association of Chefs Societies (Worldchefs) (www.worldchefs.org) is the 105-nation fellowship of the world's various professional chefs' organizations. To encourage UAE nationals to consider a career in the hospitality industry.